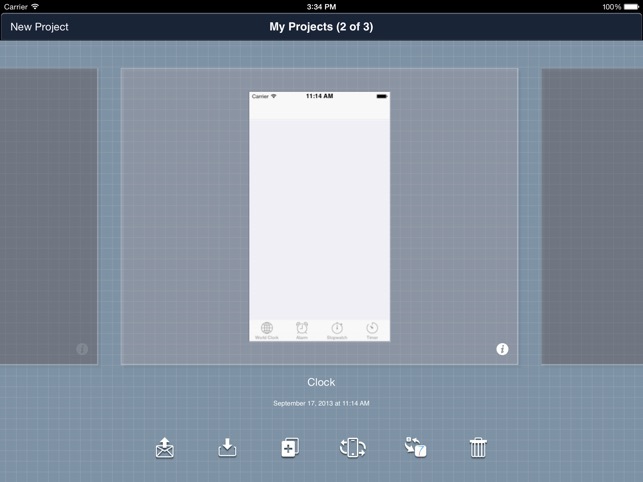 Blueprint is the most powerful iPhone (or iPad) UI design application. 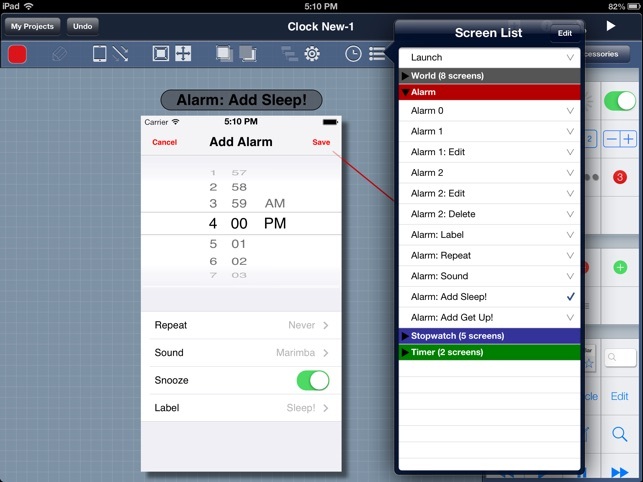 Blueprint has many predesigned widgets, including all the iOS views, controls, and buttons. With just a few taps, drags and drops, you can make a meaningful UI screen. Tap or drag and drop a widget that you want to add to a screen. Make your widget look great by changing properties—colors, shape, text, images, and so on—in Property Inspector. Assign actions for each widget and make a flow of UIs with Action Inspector. In a Map View, you can see all the screens you have designed and connections between them and you can place them as you want. When your UI design is all done, it can be played right on the iPad. Send your UI design by email or export it in a PDF file to share it with your team members. If you want to JUST READ your Blueprint project, use "Blueprint Viewer." You can download "Blueprint Viewer" from App Store for FREE. We included sample UI design - Clock - in Blueprint, you can play with it. Blueprint is frequently being updated and improved. If you have any questions about Blueprint, please don't hesitate to let us know. If you like Blueprint, please rate and write a review for us in the App Store. It will take only several minutes. Thanks! 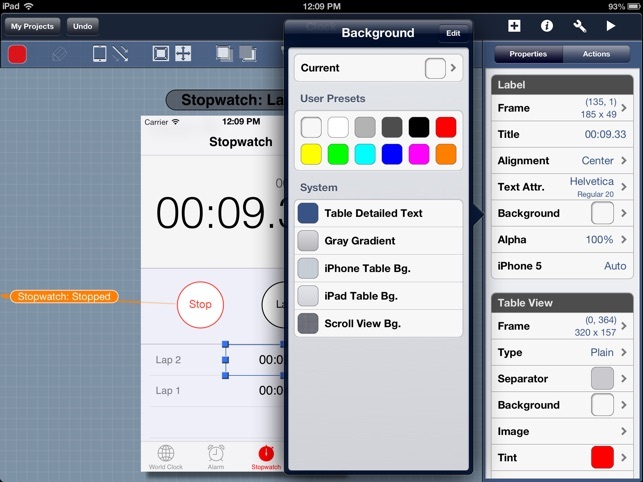 - Blueprint is an easy iPhone, iPad UI design tool. Simply drag a widget from the widget bar to the screen canvas. - iOS built-in widgets are included: buttons, labels, text fields, switches, segmented controls, table views, tab bars, navigation bars, etc. - Various widget properties: type, size, text color, background color, tint, image, and so on. - Various widget actions: tap, double tap, swipe, rotate. - Various screen transition effects: dissolve, move, reveal, push, flip, curl. - In a Map View, you can skim through your design and lay out all the screens as you wish. - Your works are saved periodically. - Undo and Redo available. - Share your design via email. - Back up your project to your PC with iTunes File Sharing. - Export your project to a PDF or PNG file. - Import your images to Blueprint with iTunes Files Sharing. - VGA output supported for iPad1 when you are playing a demo. - Advanced features for images are added: rotation, mirroring, blend, and so on. - Free Drawing tool is integrated. - iPhone 5 layout supported. - iOS 7 widgets supported. Best iPhone & iPad Mockup Software....Period! 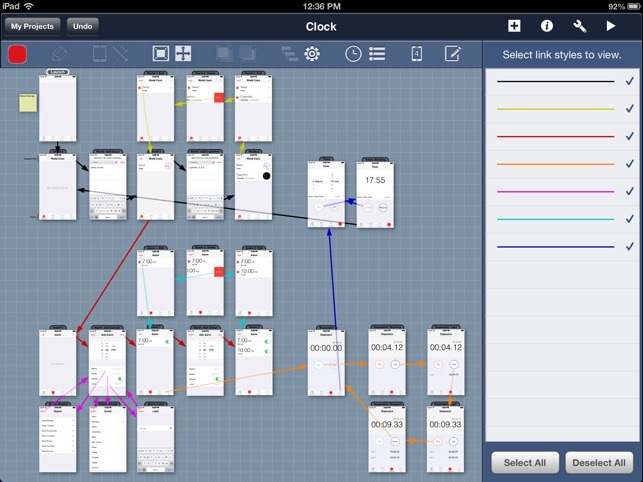 This app is a "real" application for developers that justifies buying an iPad! This application is by the best mockup and design software created on any platform for fast iPhone & iPad development. Better than any desktop client! Stop trying to mockup application in Photoshop and get this app. This application saves time(weeks worth) and money$$. Design a simulated application in a couple of days, ready with functionality and for screen shots. Then email it to your clients who can open it and play it for free using the BluePrint Viewer app. This is faster than trying to mockup something in Interface Builder for screen shots. Way faster then trying to build demo app in Xcode. You can really produce a simulated application in a couple of days that would normally take 1-2 weeks. Plus, if you are sitting down with your clients, you can blow their minds by making changes and implanting their ideas in minutes right there with them. Turn (5-10) back and forth demo meetings into a single 1hr meeting and close the deal. Reduce your development cost by significant factors. My hat is off to the fellow developers who came up with this app, congrats on a home run! This is app that Apple should be taking notes from! From one developer to those reading this: this is legit. Sketching on paper, I thought what a no-brainer app it would be to be able to design a UI on the actual device it's for. I searched the app store figuring I'd make the killer app if no one already had. Well, there are a number of them. Reviews alone had me trying the free version of this one. 5 minutes into it, I paid for the full version and have no regrets. It's an app that belongs on the front page for any iOS developer. In my many hours of using it, I've seen it "crash" only twice. Both times were when bringing it back from the background. But tapping the icon brings it right back with no work lost. All things considered, I can live with that. To me, the only thing missing is border control on a few controls that have no available border properties at all. Regardless, an awesome app that I'd recommend to any developer of iOS apps. The developer didn't get the memo that the iPad isn't for creating--just consuming. 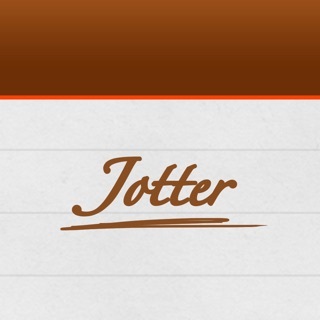 This app is fantastic for designing iOS apps. You can create screens based on a pre-configured template, a blank template, or use an existing screen. It's very intuitive and employs an interface similar to what you find in such great apps as Pages and OmniGraffle. A lot of really hard work went into this app and it shows. 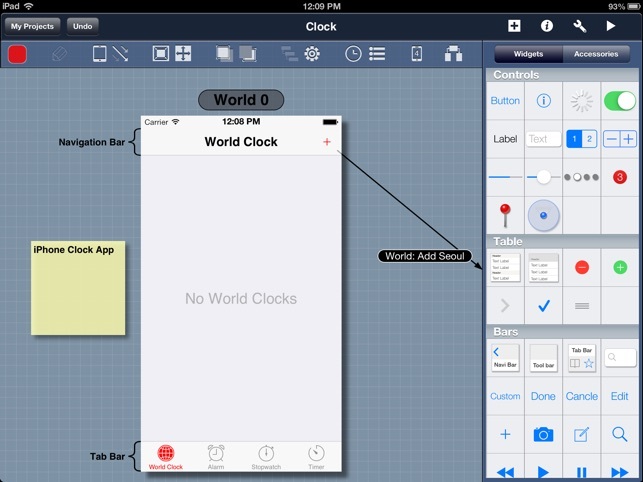 It's very well done and a great and fun way to design iOS apps using your iPad. It even exports to PDF allowing you to share it with others who may not have an iPad. You can also send the app file to someone with an iPad and they can use the companion Blueprint viewer app to get a better look at the designs you come up with. Outstanding! This app is well worth the price. One last thing. For what it's worth, the app hasn't crashed on me at all. Not once.